Notable that the cases being mentioned are either related to missing documentation or the first generation cut-off, indicating that previous legislative changes in C-37 and C-24 have addressed the legal gaps. There would appear to be scope for IRCC to treat such cases more expeditiously than appears to be the case. Imagine living your entire life as a Canadian, then suddenly finding out you’re not actually a citizen. Consider what it would be like to grow up in Canada with Canadian parents, but then have a baby in another country and discover your child is not entitled to Canadian citizenship. It’s happened to many people over the past few decades, as Canada has changed its citizenship laws. Those laws keep changing and although most of the changes are for the better, each time it happens, someone is surprised to find out they don’t qualify for citizenship. Don Chapman, author of The Lost Canadians: A Struggle for Citizenship Rights, Equality, and Identity, has been an advocate for the “Lost Canadians” for years, after his struggles with losing citizenship and fighting to regain it. Chapman warns that citizenship in Canada is not written into constitutional law. He argues the problem that has plagued Canadian citizenship for more than 100 years is that citizenship laws — which still have discriminatory loopholes — keep changing, depending on which government takes power. Chapman said he still receives panicked calls from Canadians who turn to him for help after learning they don’t have citizenship status. Having been through the ordeal of regaining status himself, he found that Canada’s laws need a lot of work. In 2007, he learned up to 200,000 Canadians were affected by arcane provisions of the law that stripped them of citizenship, often without their knowledge, and while many of these have been resolved as a result of legislation he helped create, others still are struggling with the problem. The ‘Lost Canadians’ lose their citizenship status for a variety of reasons, and come from all walks of life. They include children, seniors, well-established business owners as well as vulnerable youth. 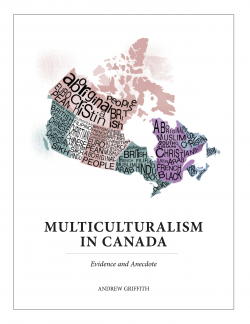 Mennonites as well as Indigenous people and multi-generational Canadians born across the border. How do you prove Canadian citizenship? Stephanie Fenner is a classic example. She just received her citizenship last Monday, after fighting for status for years. Born in El Paso, Texas, she came with her parents at the age of three and came to Lumby, B.C. She never questioned she was a Canadian citizen, having grown up her whole life around B.C. and Alberta. “I grew up in Canada thinking I was Canadian until I was a teenager – when I was about to get my drivers’ license, my parents decided to tell me I had no paperwork,” she said. Her mother was a Dutch landed immigrant in Canada and her father worked in the U.S. military, but they’d never registered her when they came to Canada. Fenner says while her family was partly responsible for her lack of citizenship, she’d never imagined at age 17 that it would take her a total of eight long years, and continual rejections to applications, before she would finally get to receive citizenship. And she wasn’t alone. At the ceremony, she met Squamish, B.C. resident Byrdie Funk, who lived in Canada her entire life since she was two months old, but had also been denied citizenship due to arcane provisions of the law. They listened to each other’s stories, and shared the roadblocks they’d faced while trying to prove they were bona fide Canadians. “You wouldn’t believe how many people told me, ‘Oh, well, you can just get married (to a Canadian) and that’s going to solve all your problems,'” Fenner said. Both Fenner and Funk had substantial documentation to prove they were fully Canadian, but nevertheless were left waiting for years, during which they were essentially stateless. Fenner especially suffered, lacking heath insurance coverage since she stopped being covered under her mother’s care at age 21, and having no social insurance number, meaning she couldn’t work legally in Canada. Fenner said she’d applied and been rejected four times by the Canadian government, and that instead of being accepted, she eventually started getting calls from Canadian Border Services Agency. She started to feel a real fear of being deported to a country she hadn’t lived in since she was a child. She credits her common-law husband for supporting her to get this far, and says she’s looking forward to starting her new life out of the shadow of statelessness. Fenner and Funk’s years-long struggle with immigration and citizenship authorities highlights an uncomfortable reality about the murkiness of Canadian citizenship. How do Canadians prove their citizenship? In Funk’s case, she had it stripped away without her knowledge in 2008, due to a provision in the law stating anyone born abroad between Feb. 15, 1977, and April 16, 1981, to Canadian parents who were also born abroad had to apply keep their citizenship by age 27 or lose her status. Funk remembers she wasn’t even aware of the existence of such a rule, nor informed of it. For Fenner, she could provide documents proving she’d lived in Canada and been educated here since her earliest days, but proving Canadian status turned out to be much harder than it seemed. “I actually think a lot more Canadians are affected than we realize. They just haven’t come forward,” Funk said. Just last week, a mother of four in Winnipeg got a jarring letter that she wasn’t entitled have citizenship, even though her whole life was built in Canada. Fenner had in fact received Don Chapman’s contact after her friend saw a news story about Qia Gunster young man from Prince George who had been in a very similar predicament. Many of the problems causing “Lost Canadians” have been addressed in recent legislation, but another outstanding issue is the issue of second-generation Canadians born abroad. They’re not considered Canadians, even if their Canadian parent has significant attachment to the country. Victoria Maruyama’s two daughters, Akari, 8, and Arisa, 6, are in a different situation. They can’t get Canadian citizenship, despite the fact their mother is a Canadian citizen who grew up in Edmonton, attending public school, and then lived in Vancouver while she went to the University of British Columbia. After graduation, she moved to Japan to teach English and make some money to pay off her student loans. She ended up staying, getting married and having Akari and Arisa. The reason the two girls are not Canadian: Victoria was born in Hong Kong to a Canadian father and Hong Kong mother. She moved to Canada when she was just one year old, but because she was herself born abroad, she cannot pass on Canadian citizenship to her children who are also born abroad. That’s because of the changes made in 2009, just before Akari was born, that make second-generation born abroad children ineligible for Canadian citizenship. Maruyama couldn’t believe her daughters might not be considered Canadian. The family lives in Edmonton now, but the girls are in the country on visitors’ visas, which must be renewed every six months. They don’t qualify for medical coverage. She has applied again for both kids, at a cost of about $300. Her application has been in for about five months now. Her children are here in Canada as visitors, and their status runs out at the end of January. Advocates say forcing the children to leave would be a violation of the UN Convention on the Rights of the Child. Patrick Chandler, similarly, is a born abroad Canadian experiencing trouble with his children’s citizenship. He was born in Libya, while his dad was a naturalized Canadian who had immigrated from Ireland. His mother was born in the United States to a Canadian mother and an Iraqi father. His great-grandfather on his mother’s side died fighting for Canada in the Second World War. Chandler’s parents were in Libya, working as teachers. They moved home to Canada when Chandler was just two years old. He was raised in Canada and attended school here until adulthood. When he was 20, he travelled to China and ended up staying a while – about 10 years. While there, he had a baby with a Chinese woman, who is now his wife. At the time the baby, Rachel Chandler, was born, the couple were not married, which meant she was not entitled to Chinese citizenship. Patrick was shocked when he found out his daughter was in fact stateless. Rachel was not entitled to Canadian citizenship either, due to a change in the law made in 2009, which stated that babies born abroad, to parents who are also born abroad, are not entitled to Canadian citizenship. It was the Canadian government that suggested Patrick try Ireland, the country his father emigrated from to come to Canada, because that country passes on citizenship to grandchildren. Eventually, Rachel was able to get her Irish citizenship, which seemed strange as neither she nor her father Patrick had ever lived there before. “How absurd is that?” Patrick said. Patrick and his wife had another baby, a son, but because they were married by the time of his birth, the son, Ryan, is entitled to Chinese citizenship. Patrick is now working for the B.C. government and he would like to bring his family here. At the moment, they have applied to immigrate at a cost of about $1,500, using the standard channels. If they were to come on a visitor’s visa, they wouldn’t have the same rights, such as to a public education or to healthcare. In China, the family pays about $20,000 a year for private school for their daughter. She is not entitled to a public school education because she is not Chinese. Both Maruyama and Chandler would like to see a citizenship ombudsman position created, so that citizenship decisions are made by a human being, rather than simply based on a check list. Chandler would like to see a clause in the Citizenship Act that says if a citizen can demonstrate a significant connection to the country, such as living here for many years or attending school here, it doesn’t matter where they were born. “A Canadian is a Canadian is a Canadian. You devalue the citizenship of every Canadian in this place, in this country, when you break it down and make it conditional,” now Prime Minister Justin Trudeau said during an election debate in 2015. Although he was talking about the possibility of taking away citizenship from someone who has committed terrorism, his words sound hypocritical to Canadians like Maruyama and Chandler ,who are Canadian, but not equal to others in terms of their rights to pass on their citizenship to their children. The Ministry of Immigration, Refugees and Citizenship Canada refused to comment on any specific case. However, in a statement, they said 2009 changes to the Citizenship Act introduced a one-generation limit to citizenship by descent. Prior to then, citizenship could be passed on to endless generations born outside of Canada. “The changes prevented the passing on of automatic citizenship to those born abroad in a second or subsequent generation who may have little or no attachment to Canada,” the ministry said in an emailed response to National Observer questions. The ministry said children born to Canadian parents who are not eligible for citizenship at birth may be sponsored for permanent residence by their parents. Once they are permanent residents, the parents can apply for a grant of citizenship. Applicants who have been turned down for citizenship can seek leave for judicial review before the Federal Court, the ministry said. Chapman says this could be rectified with a bill to modify the Citizenship Act, a bill that allows all first-generation Canadians who are born abroad the right to prove their substantial connection to Canada, just like an immigrant does. He says he is working on a bill that will say just that, and that will also immediately recognize any stateless child born to a Canadian parent as a Canadian. “We can show the world we are a beacon of light – this is where we were and where we are going. We need to do a new citizenship act that is inclusive and modern… and let’s change our identity from we’re English and French to we’re Indigenous, French, English and multicultural officially, because that’s what we are,” Chapman said. People who immigrate to Canada pass on citizenship as though they were born in the country. The rules governing citizenship frequently change – just last week, the CBC reported that there was a 17,500 surge in citizenship applications after the government relaxed the language and residency rules. Those new rules came into effect on October 11, 2017, as a result of Bill C-6, which received Royal Assent in June. Further changes are expected in 2018. While I agree with Ivison (and Anglin) on focusing on outcomes, not meaningless values declarations, his characterization of the repeal of revocation from dual nationals convicted of terrorism or treason can hardly be called “pandering,” given that polling indicated strong support for the Conservatives on this issue. In fact, the Conservatives “pandered” by making revocation part of C-24 when available evidence indicates revocation would not be a deterrent and that revocation would most likely be found to violate the Charter, given different treatment for dual (or multiple) nationals compared to Canadian nationals only (and the list of those convicted and charged includes both categories). The Conservatives reformed the system over their time in power, so that family class immigration was on the decline (down 18 per cent in 2014), while economic immigration was on the rise (up 11 per cent). New programs such as the Express Entry system were introduced to speed the application process for people with the skills Canada needs. But the 2015 election meant a change of emphasis. The Liberals promised to prioritize family reunification, granting points under the Express Entry system to applicants with siblings in Canada and doubling the number of applications allowed for parents and grandparents. Immigration targets have been raised to 300,000; visa requirements on Mexico have been lifted; language requirements have been watered down for younger and older applicants; while the residency requirement for citizenship has been reduced to three years from four, one of the lowest among peer countries. Perhaps the most egregious example of political pandering was the repeal of the law that revoked citizenship for dual citizens convicted of terrorism or treason. If you can have your citizenship revoked for misrepresentation, does it make sense that you are able to keep it after being caught planning to explode truck bombs in downtown Toronto, as was the case with Zaharia Amara, ringleader of the Toronto 18 terror group, who recently saw his citizenship reinstated? Justin Trudeau’s pledges on immigration had the desired impact — a shift in allegiance of a number of visible minority communities to the Liberals. But they made no sense from a policy perspective. Their adoption has created an opportunity for the Conservative Party to make a pitch to voters who agree that immigration is a necessity for economic growth, yet do not believe parties should use bad policy in a bidding war for votes. A more sensible immigration policy would forget about “values” and concentrate on outcomes — where the focus is on attracting smart workers who will help Canada navigate an age of automation and job displacement. While I have a great deal of respect for Don Chapman and other advocates who successfully pushed the previous government to address the issue of “lost Canadians” in C-37 (2009) and C-24 (2014), I find his latest op-ed misses the mark, arguing for opening up the constitution to add citizenship as a right in the Constitution. Apart from the fact that no government in their right mind would open up the Constitution given the divisive process that would result (been there, done that! ), their column makes assertions about numbers (“many”) without any real serious look at the data. 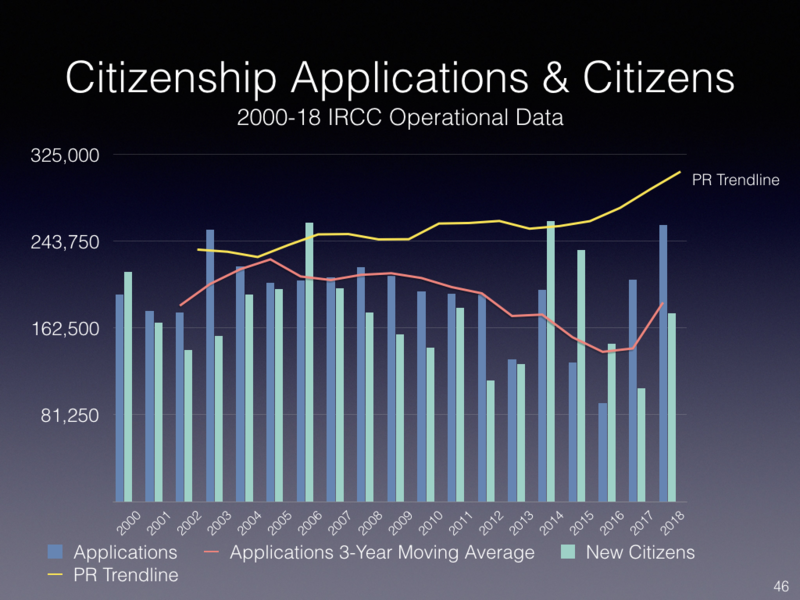 The data we have primarily consists of the demand for citizenship proofs. The 2009 and 2014 changes to the Citizenship Act addressed the majority of the potential cases; however, the number of annual proofs did not change significantly, suggesting less demand than Chapman and other advocates claimed. That is not to say that some cases remain, but that they are best dealt with individually through consideration for a discretionary grant of citizenship (s 5(4) of the Act). The practical implication is that the more than 100,000 Canadian casualties from the First and Second World Wars never lived to become citizens, and many of their children have spent decades fighting for their right to citizenship, denied them simply because their fathers did not survive the war. The hallmark of former minister of citizenship and immigration Jason Kenney was the consistency with which he denied these applicants. Although many of these Canadians eventually regained their citizenship through parliamentary victories, too many died as they were simply waited out by Ottawa. Particularly heinous is the untold number of Indigenous Canadians that are currently stateless because their parents never registered their births, rightfully fearing their children would be sent to a residential school. Now adults, these Canadians have no rights or benefits. They are citizens of nowhere, unable to legally work, marry, attend school, buy a home, get a loan, drive a car or even take a bus, train or plane without identification. They are ghosts in their own land, forced to live in the shadows. Even recent amendments that reinstated citizenship to some have left many others stateless, and did nothing to prevent that reinstated status from being stripped in the future. Former prime minister Stephen Harper’s policies further complicated citizenship rights, making second-class citizens of anyone with dual-citizenship status. With the current political turmoil in the United States, thousands of these dual citizens – especially targeted professionals such as journalists and human-rights workers – now face the painful option of renouncing their U.S. citizenship, fearing their second-class status in Canada could, on a whim from our leadership, force them to live in Mr. Trump’s United States. Our national identity has no foundation if we have no inherent rights, and Mr. Trump’s idle threats against his own people prove how urgent it is to give serious thought to our Canadian citizenship – what it actually is, how we get it and how it’s lost. As we approach our 150th birthday, this is the perfect time to focus on defining and protecting our identity. It is time to make citizenship a constitutional right. Pierre Trudeau gave us the Charter of Rights and Freedoms. Wouldn’t it be fitting for the Prime Minister to take the final step to true nationhood: an inviolable, constitutional right of citizenship. The lack of procedural protections for citizenship revocation in cases of fraud or misrepresentation, flagged as a concern in both hearings on the Harper government’s C-24 and the Trudeau government’s C-6, continues to draw attention, given both the increased number of revocations and the Monsef case (although I would argue misrepresentation of her birthplace by her mother is not material in the way that misrepresenting residency). And while the Trudeau government continued use of this power is questionable, the higher rate reflects in part the increased number of investigations following implementation of this provision in C-24 on 28 May 2015. The Trudeau government used powers granted by the Harper government’s controversial citizenship law to make 184 revocation decisions without legal hearings between November 2015 and the end of August. About 90 per cent of the decisions resulted in a negative finding and the loss of a person’s citizenship. The numbers show that the Trudeau government has used the law far more aggressively than the Harper government itself. But in a Federal Court filing late Friday, the government said it would not grant a moratorium on revocation cases, and added that claims by some that the system was revoking large numbers of citizenship are speculative. Liberal Leader Justin Trudeau made the sanctity of citizenship an issue in last year’s federal election. “A Canadian is a Canadian is a Canadian,” Trudeau said in a leaders’ debate three weeks before storming to victory. He used it to dress down Stephen Harper for passing Bill C-24, a law that aimed to strip dual citizens of their Canadian passports if they were convicted of crimes of terrorism, treason or espionage against Canada, or took up arms against Canada. Immigrant communities rallied to the Liberal Party, concerned that Canadians born overseas would be reduced by C-24 to an insecure second-class status. Once elected, one of the Liberals’ first acts was to repeal the parts of C-24 that applied to those convicted of terrorism-related crimes, ensuring that they can keep their Canadian passports. But the Trudeau government left intact other parts of the law that allow the government to strip citizenship from other holders of Canadian passports for misrepresentation. The 184 revocation decisions of the first 10 months of the Trudeau government nearly match the total number of decisions over a 27-year period between 1988 and the last month of the Harper government in October 2015. Although the powers being used come from a law passed by Stephen Harper’s Conservatives, the law has been used much more aggressively under Trudeau. In the first full month of the law’s operation, June 2015, only three revocation decisions were made. None were made in July or August, two in September and two more in October. The Trudeau cabinet was sworn in on Nov. 4, 2015. That month saw 21 revocation decisions. The following month there were 59. The year 2016 averaged 13 decisions a month up to Aug. 31, the latest data CBC News has been able to obtain. The monthly average under the Harper government from 2013 to 2015 was only 2.4 cases a month, some under the auspices of C-24 and some under rules that existed previously. In recent days, following revelations that the birthplace of one of its own cabinet ministers was misrepresented on her passport documents, the government has said it is open to reforming the system. But in the preceding months, it had used the revocation measures at an unprecedented rate. The government says the revocation decisions are being taken to protect the integrity of the citizenship system and are aimed at cases of fraud. The department carried out those investigations with Canada Border Services Agency and the RCMP. Investigations led by those agencies have resulted in the conviction of immigration consultants who helped individuals obtain citizenship illegally. “The revocation process is then undertaken to determine whether the individuals associated with these investigations, fraudulently obtained their Canadian citizenship through having intentionally misled the government of Canada about key aspects of their citizenship application such as concealing past criminal activities or submitting false documents to demonstrate residence in Canada when in fact they were not living in Canada‎. Many of the decisions to revoke citizenship that have been made since May 2015 directly result from those investigations,” Caron said in an email to CBC News. Immigration Minister John McCallum says he is open to granting a moratorium on the revocation of citizenship from Canadians who misrepresented themselves in their applications, an issue that has been thrust into the spotlight by the circumstances of cabinet minister Maryam Monsef’s citizenship. The Federal Court application made headlines when lawyers on the case said that Ms. Monsef, Democratic Institutions Minister, could have her citizenship revoked under the current law for having an incorrect birthplace listed on her citizenship papers. Ms. Monsef said she only learned that she was born in Iran, not Afghanistan as she had believed, after an inquiry from The Globe and Mail last month. She said her mother never told her and her sisters they were born in Iran because she did not think it mattered. While Ottawa is considering the moratorium on revocations, the government says it is committed to eventually reinstating the right to a hearing for Canadians who face losing their citizenship because they misrepresented themselves in their citizenship and permanent residency applications. Independent Senator Ratna Omidvar said she is going to propose an amendment to the government’s citizenship Bill C-6 to reverse the Conservative law that took away the long-standing right. MPs tried to table the amendment to Bill C-6 at the House immigration committee earlier this year, but was it declared to be out of scope by the committee chair. Ms. Omidvar noted that the Senate procedure rules are different, so the amendment still has a chance in the Red Chamber. Not having a connection to Iran is a good thing, according to Sen. Omidvar. Although she left Iran and came to Canada in 1981, and subsequently became a Canadian citizen, she would still be considered an Iranian citizen were she to return to Iran. “That is why I never want to go back,” Sen. Omidvar said in an interview. Last week, she moved the second reading of C-6 and hopes the Senate will be able to amend the bill to provide “an avenue for an appeal or a hearing” for Canadians whose citizenship is being revoked based on misrepresentation or fraud. Sen. Omidvar explained that in the case of Ms. Monsef—who at the age of 11 came to Canada with her widowed mother and two younger sisters as refugees—she and her siblings “would be held accountable” if her mother told Canadian immigration officials her children were born in Afghanistan and not Iran. Under the current system, Ms. Monsef could get a letter from a Citizenship and Immigration Canada official stating that her Canadian citizenship was being revoked based on misrepresentation, and she would have 60 days to respond to the same official who sent the letter. Ms. Monsef could then seek leave to appeal to the Federal Court for a judicial review, but only after she lost her citizenship. Even then, the court only grants leave on about 15 per cent of citizenship revocation cases, according to Toronto-based immigration and refugee lawyer Lorne Waldman, who is representing the British Columbia Civil Liberties Association and the Canadian Association of Refugee Lawyers in a constitutional challenge to the citizenship revocation regime in C-24 that was filed with the Federal Court last Monday. He explained that if someone was found to have lied when applying to become a permanent resident and later became a Canadian citizen, that individual could lose both status and face automatic deportation. What is known about Ms. Monsef’s case “is an example of that scenario,” said Mr. Waldman, who is in court next month on a similar case involving two people who came to Canada as children and whose citizenship is imperilled because of their father’s alleged misrepresentation on his permanent resident application. Mr. Waldman said he doesn’t believe Ms. Monsef will be stripped of her Canadian citizenship. If the misrepresentation in her case involves where she was born rather than her citizenship at birth “it is not likely that would be relevant” in raising questions about the minister’s status in Canada, said Mr. Waldman. My piece in IRPP’s Perspectives on the need for the Senate to consider the decline in the naturalization rate in its review of Bill C-6’s changes to the Citizenship Act. Though he likes to point out the fact, Mr. Obhrai insists he’s not running for leader simply “because I am the longest serving Conservative member of Parliament,” having been first elected as a Reformer in 1997. He’s running because he says he worked hard to open up the party – particularly to new Canadians and immigrants, much like himself. And he blames the Conservatives’ 2015 election campaign with isolating those very groups it should have embraced. Mr. Obhrai points to his party’s positions on the niqab, notably when former prime minister Stephen Harper said the Conservatives would look at banning public servants from wearing them, and the “barbaric cultural practices” tip line as proposals that lead to their election loss last October. “Nobody bothered asking me whether it was right or wrong. I would have told them absolutely there and then it was wrong,” he says. He is also highly critical of the Conservatives’ Bill C-24, which gave the government the power to revoke Canadian citizenship from dual citizens convicted of terrorism. Mr. Obhrai supported the bill’s advancement to committee, but abstained from a final vote. The Liberals have since introduced their own bill to repeal this provision. “That turned out to be an advantage for the Liberals to attack us,” he says.